HomeHealth IssuesOlder Dog Not Eating? Is your older dog not eating as much as he used to? If so, it’s natural to worry – but not always necessary. There are lots of reasons why Fido’s appetite isn’t up to par. Some of them are just the result of the aging process. Others are caused by health problems (both minor & major). So, how do you know when your old dog’s ‘appetite malfunction’ is something that needs investigating further? This page has the answers you’re looking for. If you know why your older dog isn’t eating properly and he doesn’t need veterinary treatment, click here to find out what you can do to help. Why Is My Older Dog Not Eating? First of all, just to clarify… there is a difference between a ‘loss of appetite’ and ‘not eating’. Your dog’s weight is as important as his appetite. A dog who isn’t eating as much as he used to, but is maintaining his weight is less worrying than one who is losing weight – either consistently or suddenly (regardless of the state of his appetite). If Fido seems to be hungry all the time and yet is losing weight, that might mean there’s a different type of health problem such as diabetes. Thyroid issues can put appetite and weight gain/loss out of whack too. If your senior dog suddenly refuses to eat at all, then he needs to be seen by your veterinarian right away. It’s also important to differentiate between an od dog who’s always been ‘picky’ and gradually becomes ‘pickier’ and one who’s previously always loved his food but now has very little appetite or couldn’t care less. The second scenario is much more worrying than the first and needs to be taken seriously. Appetite is one of those things which can fluctuate on a fairly regular basis. Dogs eat less when they’re in pain, stressed or anxious, when it’s hot, when they’re not getting much exercise and so on. Puppies eat more than adult dogs. 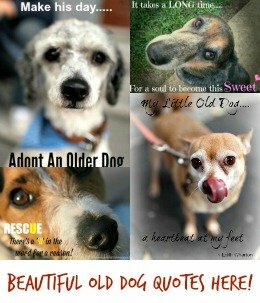 Senior dogs tend to eat less than younger adults. Eating less, or more, from time to time doesn’t necessarily mean there’s a problem. But if your senior dog isn’t eating on a regular basis, or he’s lost his interest in food, then you need to figure out what’s going on. Yes, sometimes just being a senior citizen is enough to take the edge off your dog’s appetite. He probably doesn’t get nearly as much exercise as he used to because his body isn’t up to running, jumping, leaping, chasing….. a leisurely stroll down the street and back may seem like a marathon to him. Plus he’s sleeping more than he used to, and how many calories can a body burn when it’s inactive? Generally not a heck of a lot. If he’s not using up all those calories then he’s not going to be as hungry as he would if he was up-and-at-em all day. Also, as dogs age (humans too! ), their metabolism naturally slows down. This means that it’s more difficult for him to use his food efficiently, or quickly. When you’re older dog isn’t eating well, you may not think to look inside his mouth right off the bat. But dental problems – such as broken teeth, gingivitis, cavities and/or infections – can make eating very painful. Generally this is a pretty straightforward fix, requiring just a trip to the veterinarian for extraction or antibiotics. But the result can be nothing short of amazing – for Fido. So it’s a good idea to check out your senior dog’s teeth to rule this out. 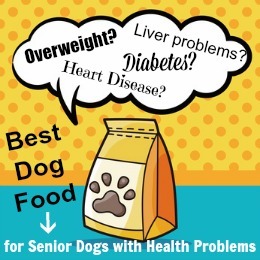 There are a lot of different senior dog health issues that can cause your older dog to eat less. Some of them are fairly minor, others can be serious or chronic. The less serious possibilities include a digestive system that’s just not as efficient as it used to be, food sensitivities, constipation, a poor sense of taste/smell which makes his food less appealing, depression or cognitive dysfunction, dental problems (see above). There are often other symptoms as well as the appetite problem when your dog has a more serious illness. 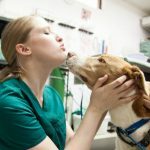 Overall, if Fido isn’t eating the way he used to and is showing ANY other signs of not feeling well, your best bet is to get him a full veterinary exam. If he stops eating suddenly, then it’s an emergency situation and he needs to be seen asap. If your older dog isn’t showing any of these symptoms and he’s acting normally but just seems to be less interested in his food than he used to be, there are some things you can do to encourage him to eat more. Find practical, tried-and-test tips and advice that will help here…. Getting Older Dogs To Eat. I know man. I’m in same boat. Just turned 16. Diarrehea a month ago and now does not eat anything. I know he is dying. But still devastated. I am prepared for it but have spent about 3000 dollars in last 3 months. Money means nothing as I need him. I really don’t know what I am going to do without him. You said you moved recently, and that may be all it took. You said you moved a month ago, and he has had diarrhea for a month. Also the behavior changes of not greeting you as big as before, playing with toys, etc. I can tell you from experience, dogs live through their noses….so at 16, his whole world has been turned upside down, he’s in a new place, with new smells, and unfamiliar surroundings. That all by itself can bring on a lot of stress for a little guy. He’s not sure of what is going on and why the surroundings changed. Animals are particularly sensitive to this. I would hope your vet would look at your dog anyway, just on a humanitarian basis, if you cannot afford the bill. But I have a 12 and 16 year old sheltie, and I can tell you, at this point in their lives, ANY change to their routine, is met with similar response. I have one that is a picky eater anyway, but if I even change brands of supplements for him, he will turn his nose up. The other one becomes confused easily if the going out schedule changes even by a half an hour. Dogs rely on routine, and when routine is disrupted, you will see stress diarrhea, among other things. I would suggest maybe getting some Bach Rescue Remedy and giving him a few drops of that a couple times a day, to help alleviate any trauma he is experiencing from the move. And when you are at work, maybe leaving something you have worn recently, like a tee shirt or socks, with him to reassure him that the new place is now home, and you are coming back. And maybe sitting with him while he eats, will reassure him, too. If he has had diarrhea for over a month, his GI tract has to be inflamed. There is a supplement called Slippery Elm that is very good. You break open a capsule of it, and add a little hot water and stir until it thickens, you will probably have to give it to him in his mouth with a syringe, but it coats the GI tract and will help with the diarrhea. Also, plain canned pumpkin is helpful at settling the stomach and diarrhea. But you want PLAIN pumpkin, not the pie filling that has sugar and spice in it already. Just plain old pumpkin. I think, barring anything serious, there has just been too much change too quickly for poor Oscar, and he doesn’t know how to process it. At 16 his sense of smell and sight and hearing might be diminishing, too, making adjustment harder for him. Just reassure him and make sure there are plenty of things with your personal scent around him when you are at work, so he knows the new place is home, and maybe taking him on more frequent walks so he gets used to the new scents and will soon associate that with home. Hope this helps. keeping him with you, maybe let him sleep with you on the bed if you don’t already, and just do anything and everything to reassure him he’s not being abandoned, nothing between you and him have changed, keep up all the old routines, just the routines are in this new place. He is probably picking up scents in this new place he cannot identify, which is why it’s important to make sure he has plenty of things around him that he can access with your scent on it, so he knows this is home and you aren’t going anywhere. Don’t beat yourself up, your pup knows you loved her. I just put my pup down a couple of days ago. Gave him baby food by syringe, had him on a heating pad, slept constantly, got disoriented in the back yard. Your pup had lots of issues diarrhea, vomiting and no eating, hard to watch the suffering. Be kind to yourself, grieve but remember all the love and care you gave your pet. I’ve had lots of pups, all special in their own way, saying good bye always heartbreaking. Give yourself some time to recover from your heartache. Jacqueline please do not feel bad for the choice you made. I too had very same issues with my little Mojo he was only about 11 – 12 though. I took him to the vet spent a very large sum of money because I was also not willing to let him go, but he had an autoimmune problem, and even though I was devastated, I choose to put him to rest instead of trying more treatments that may not have worked. Sometimes the most humane thing we can do for our Furry Babies is to let them go. I know that it is hard, trust me I know. I am crying as I write this to you because I still have not gotten over his lose. Just lost my 15 year old Sasha. I had to have her put down due to severe diarrhea and not eating. I tried everything to get her to eat. She acted like she wanted too but couldn’t. Diarrhea was really bad. She was skin and bones. I feel it was her time. I just wasn’t ready. Miss her so! We just lost our beloved shin Tzu girl. She slowly deteriorated to skin and bones. She lost interest in eating and began pacing continually. We tried everything homemade food appetite stimulants vitamins but to no avail. We are heartbroken but feel blessed we had her for 15.5 years. We couldn’t see her suffer so I’m compassion we had her out down. She no longer had a quality of life. She didn’t understand her pain i looked in her eyes and could see her misery. I hugged her and told her we loved her and thanked her for the joy and love she have us. Ready the previous comments brings tears to my eyes. I have a 17 year old Pom who thankfully is going strong. But I know the time is limited and it makes me sick as he is our baby. Have had 3 females who I lost at different times, different ways but each time it breaks your heart. Last one actually died in my arms at home, her heart just gave out. Unbelievably she died so peacefully after being ill with Cushings and CHF. Just remember all the happiness and good times together. They all truly know how very much they are loved so don’t ever feel guilty about letting them go when it is time. Hello, We put our nearly 18 y.o down last week, I’m devastated! its the hardest decision I have ever had to make and I question myself all the time if it was the right thing to do as I miss her so much. But she did not want to eat and I did syringe her food for some days, she had started having seizures and that took its toll on her after everyone she was that much worse, she had some dementia to. She was on arthritis medication and that helped her a lot, but made her a bit sick to. She would run around and I had to stop her so she would not have another seizure. Her recent heart medication made her staggery and not want to eat either. When she started to rub her head on her bed and look miserable and had another seizure then diarrhea, it was time. I still question if I could have done more though and had more time with her. So heartbroken and I don’t think I can ever get another dog as it wont be the same as this sweet girl, I don’t want to go through this pain again. She was the best loving dog I had ever owned. I even ordered myself a book called “The Pet Loss Companion” it is not here yet but the reviews have been good. It might be of help to others here to. My dog is a Japanese spitz poodle mix. She is 16 almost 17 years old. She gets very hot when the weather changes and it goes from hot to cold. She does have dental problems, but I will not put her under cause it’s unsafe for her age. Yes, animals, mostly dogs, are a great companion in all ways. Humans that take the time to understand them, and love them are really blessed. Many people dont realize what it is to have something or someone to love them dearly no matter what they do, but animals only want love and to give love. We are blessed to have animals on the planet, although many people dont appreciate them, and that is a shame!! My girl is dying too. She had a good life and has been my truest friend besides my Lord Jesus Christ. I thank God for time I had her.She is 14, a golden doodle. I need help with my senior Aussie. She is eating less and lost a lot of weight, she his skin and bones. I took her to the vet and had tests, they found no physical conditions. We just cannot figure out why she won’t finish her meals. She always starts eating when fed, but doesn’t finish. She doesn’t ever return to the food she left either. However, she will eat any treat offered. Yes, we have tried different food, we don’t know what else to try. I need help with my senior Aussie. She is eating less and lost a lot of weight, she his skin and bones. I took her to the vet and had tests, they found no physical conditions. We just cannot figure out why she won’t finish her meals. She always starts eating when fed, but doesn’t finish. She doesn’t ever return to the food she left either. However, she will eat any treat offered ( and still eats dog feces in the yard 🙁 ). Yes, we have tried different food, we don’t know what else to try. I’ve been to the vet and they can’t find anything. My little baby’s time is coming soon and many of your comments help me. Had an Aussie years ago. He loved life so much! Always the clown. When he didn’t love it or food anymore, I knew it was time. No regret. It was for him. I wasn’t going to keep him for my sake. Great memories! My baby’s time is coming near as well. He is 14 now, haven’t had food for about 4 days, no matter how I try to convince him. He can no longer stand on his own. I hold him up so that he can have some water but that’s about it. The vet basically told us nothing can be done at his age. He’s such an angel, it’s heartbreaking to think of life without him. I cried reading all of this because I’m crying a lot lately. My 13y old chihuahua has had diarrhea for over a year. His poo is just loose and he had tests done and nothing came up. Supposedly a stomach infection. He’s been on steroids for months nkw and finally got better when I discovered the diarrhea was because of dog food. Tried different brands, same thing. I started cooking for him at home, he gained weight and was so much better. Even our vet was shocked. Then suddenly, he stopped eating his food. He does search for food and occasionally eats some treats. I feed him baby food via syringe but feel like I’m torturing him. He does eat fruit and veggies on his own at times. Some people tell me he’s picky and tired, while others tell me, it’s time to let go. But I’m not ready. He’s my little baby!! Had him since he was two months old. What else can i do? I’ll go to the vet eventually but he just doesn’t have answers for me anymore. Over the last few months, my 15 y/o Dachshund stopped eating as much as she used to. The first day or two I didn’t think much about it, as the weather was starting to warm up. Her appetite came back for a bit then she began eating less. What I have discovered, through vet visits and trial/error is that she is just not eating as much, especially in the morning. I now give her a smaller serving at feeding time and she usually finishes all of her dinner. Like many of you out there, I’m also trying to prepare for what I know will be coming. In the meantime, I’ll keep loving my little Trixiedoodle!! I took my dog to the vet for an ear infection. One week in medication made him deaf. Looked up the medication side effects deafness. Why would a vet do that. My poor dog. Don’t trust veterinarians. I feel for you. My Chihuahua is 15.5, she had a ACL issue about 3 years ago, it resurfaced a week ago, took her to the vet, spent money I don’t have but nothing can be done, surgery not advisable at her age, plus I couldn’t afford it, she’s been limping since, wetting her bed at night and now she refuses to eat, nothing seems to entice her anymore, she sleeps practically all day, goes out to relieve herself and comes in to sleep some more. She also has a collapse trachea which causes her to cough, can give her the med for that because she’s not eating. By reading all of the comments I know her time is near all I do is cry because I love this little dog, she’s been with us since she was 9 weeks OLD!